Viktor Rydbergsgatan is a street in Lorensbergs Villastad, a residential area in Göteborg. 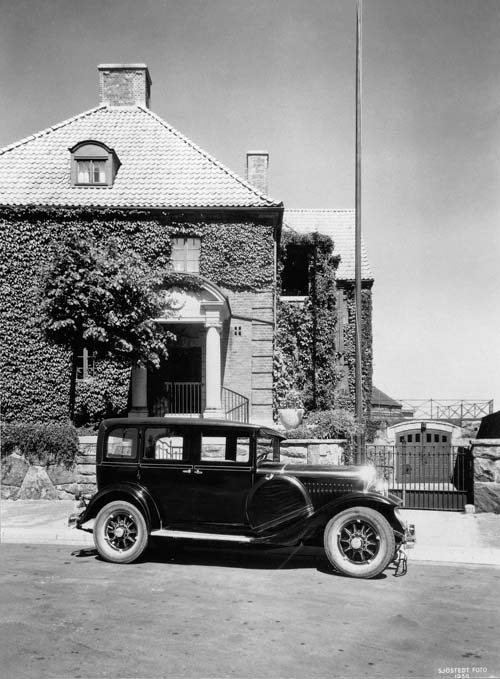 The villas and townhouses are almost all built between 1913 and 1925. All but three buildings were of stone with brick facades, and all contained large dwellings, limited by building areas to max 400 square meters. They were built mainly in the nationalromantik style but also 1920s classicism occurred. The villas are built with 2 to 3 floors and almost all have facades of red or reddish-brown bricks. The city plan for this area was established in 1913 and was drawn by Albert Lilienberg, which was first city planner in Göteborg. His city plan was a revision of Per Hallman’s and Frederick Sundbärg proposal for the city’s southern parts. The villas are built on an area behind Götaplatsen, between Viktor Rydbergsgatan and Näckrosdammen, where the terrain is very hilly and with level differences of up to 40 meters. By using the spirit of hand made ​​brick, granite and heavy walls of stone created a great affinity with the land and the local surroundings. The cityplan included reguöated height of buildings, the placement on the lot and size. 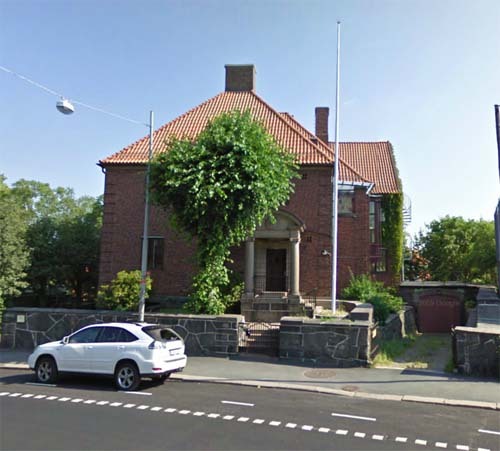 The villa on the photo is Villa Janson on Viktor Rydbergsgatan 22, architects were Karl Severin Hansson & Eugen Thorburn, built in 1917. 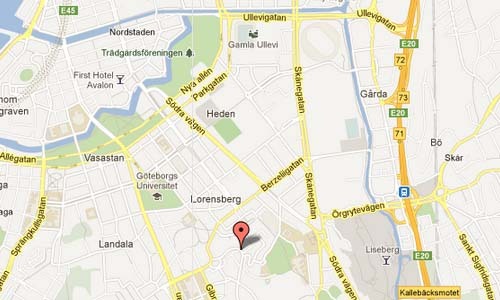 More on these villas in this area, see Villa Beyer on Viktor Rydbergsgatan 20 or Viktor Rydbergsgatan 24.